As one of the largest Aboriginal providers of housing on the Central Coast, Bungree has been providing social and affordable housing since 1995 as a registered Aboriginal Community Housing Provider with NSW Aboriginal Housing Office. 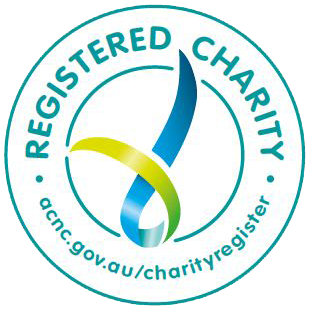 Since 2015, Bungree has been registered Community Housing Provider under the National Regulatory System – Community Housing as a Tier 3 provider. Our mission is to provide secure and affordable housing to the Aboriginal community on the Central Coast. We also support youth and families who reside on the Central Coast or are in transit and are homeless or at risk of being homeless in accessing services such as crisis accommodation, health or advocacy services. Bungree owns and property manages for the NSW Aboriginal Housing Office in the Central Coast, Newcastle and Karuah regions. Housing Pathways is a new housing application system designed to make applying for housing assistance easier, simpler and fairer. Applicants fill out a single form to apply for properties managed by Housing NSW or participating community housing providers. Applicants can choose either public or community housing, but will maximise their opportunities for a housing offer if they register interest in both public and community housing. A single state-wide waiting list, the NSW Housing Register, has also been created under the Pathways initiative. It combines the waiting lists of Housing NSW and participating community housing providers. All new applications are logged on the NSW Housing Register. If you are seeking emergency or temporary accommodation or are at risk of homelessness, please contact Bungree for assistance through our Specialist Homelessness Services. Alternatively, the Link2home telephone service is available 24 hours a day, 7 days a week, every day of the year on 1800 152 152. This is a free call from a landline. For Housing NSW Services, please contact the Housing Contact Centre on 1800 468 746. If you require any further information or assistance with your Housing Application, please contact Bungree on 02 43500 100.